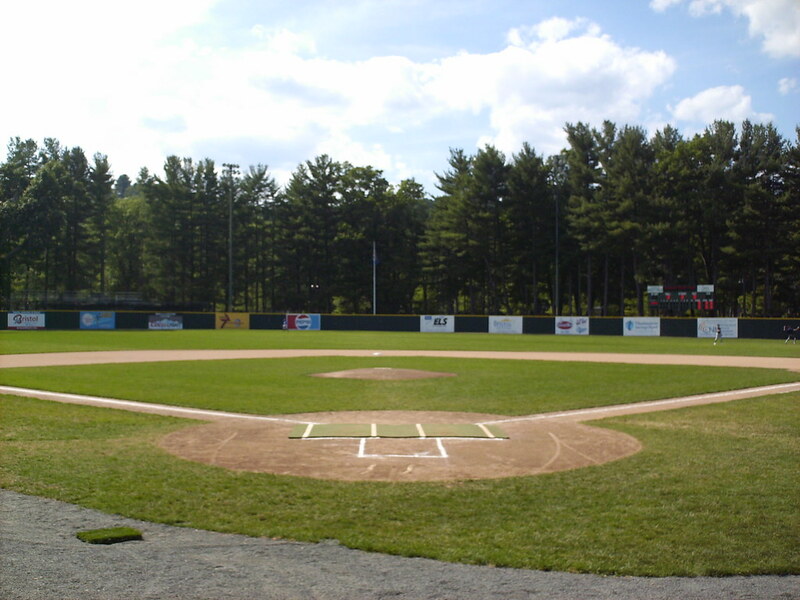 The view from behind home plate at Muzzy Field. 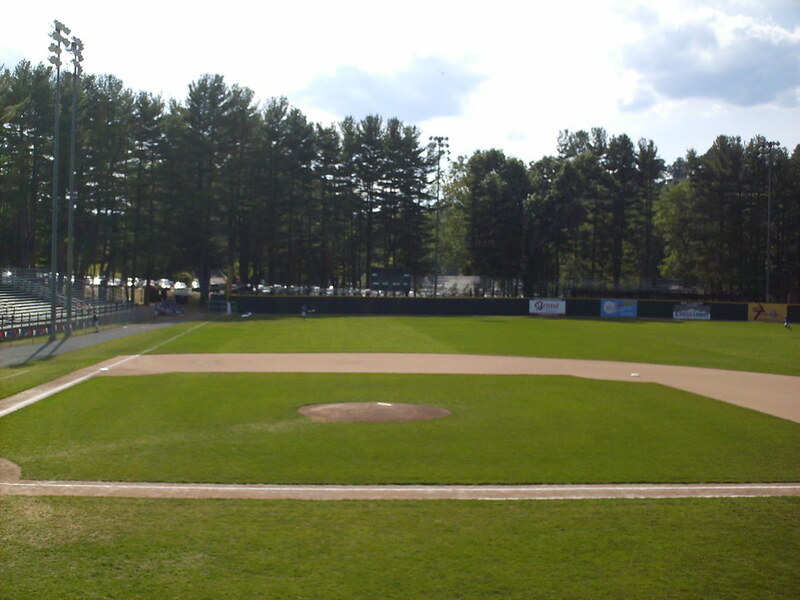 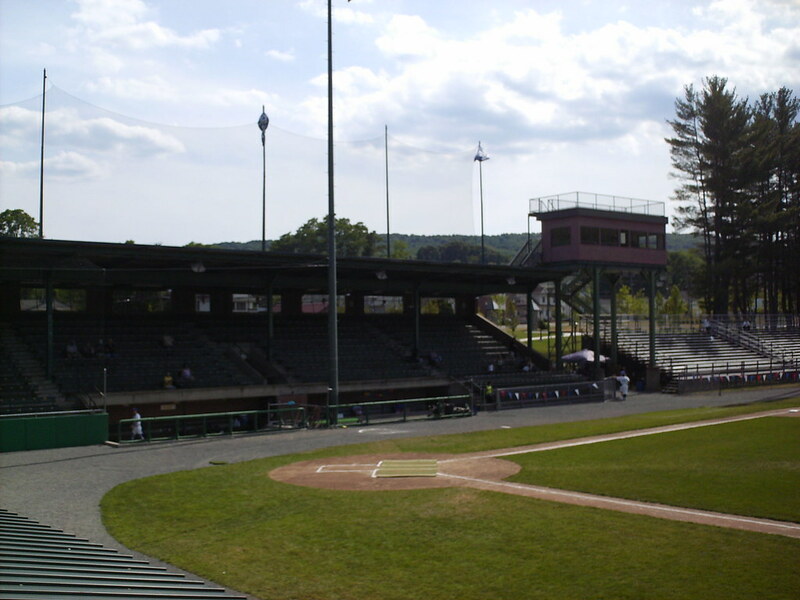 The grandstand at Muzzy Field, as seen from the left field corner. 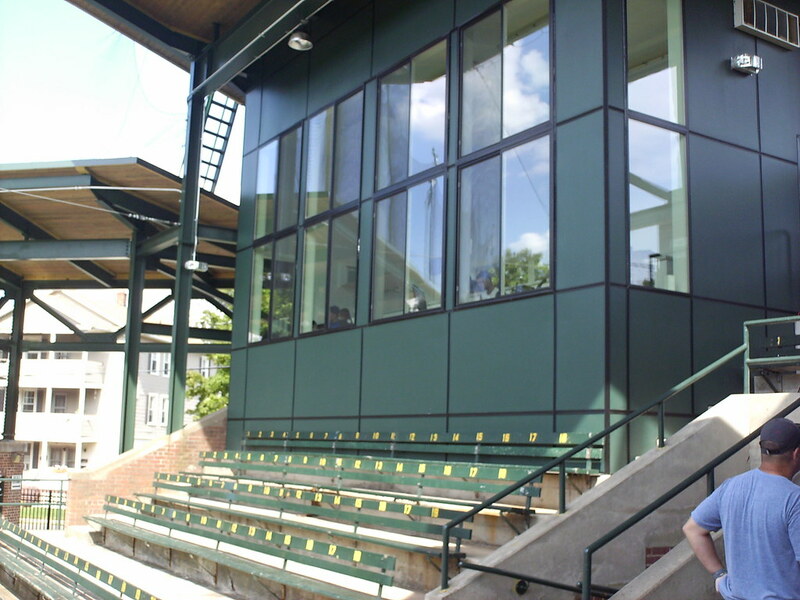 The tall enclosed pressbox behind home plate, with a small section of seating in front of it. 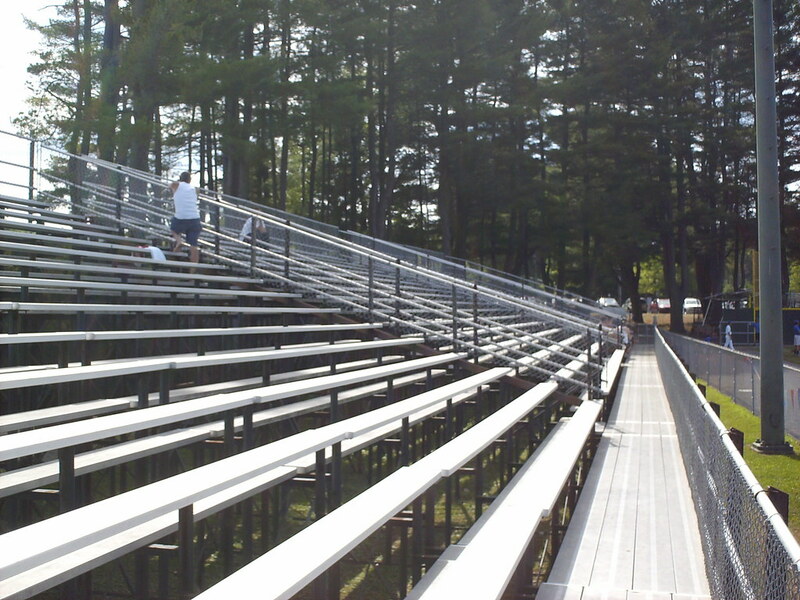 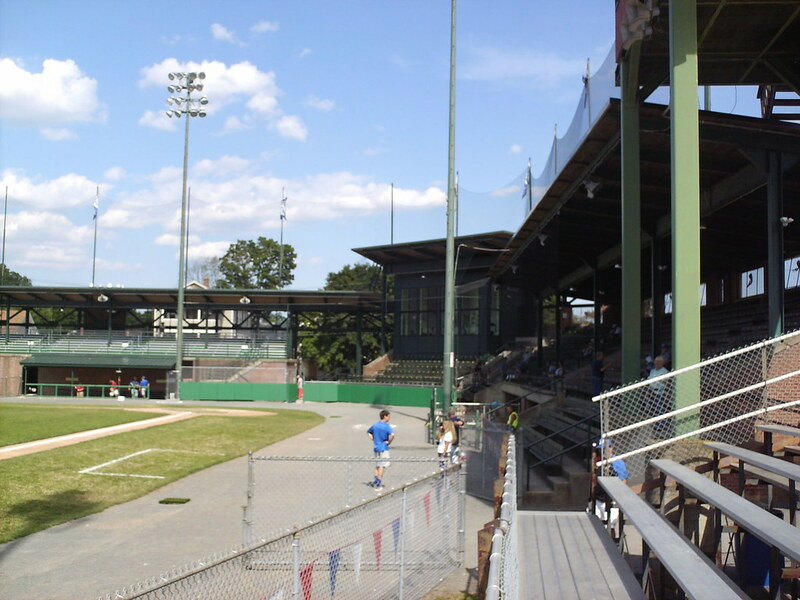 The grandstand features a long section of covered seating, built in 1939, running down the third base line. 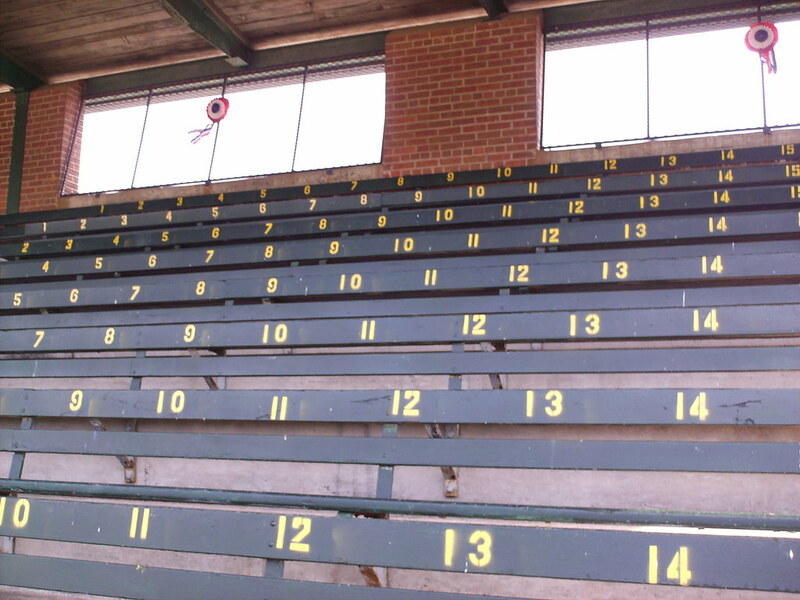 Seating in the third base grandstand is on the park's original wooden benches. 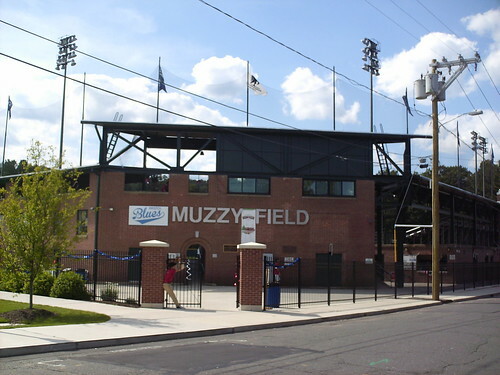 Muzzy Field has also seen action as a football stadium, and a rooftop football pressbox sits at the end of the third base grandstand. 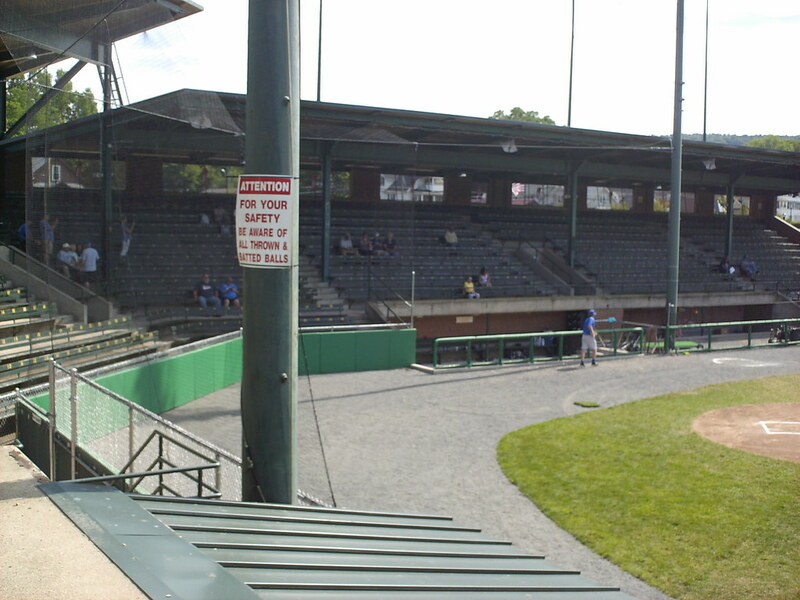 The first base grandstand, added to the field in 2013, is shorter and has fewer rows, as the visitor's dugout sits higher up than the home dugout on the third base side. 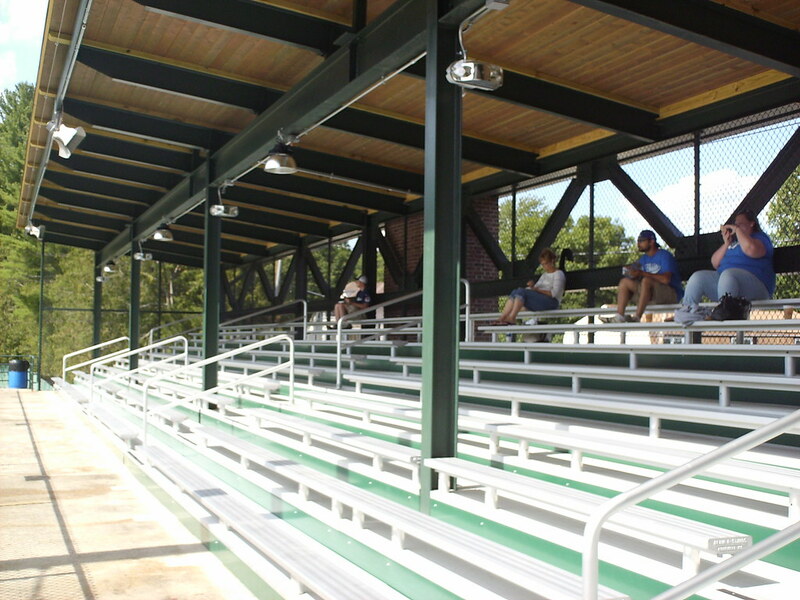 Seating in the newer first base grandstand features aluminum bleacher seats, but maintains the wooden roof look from the original grandstand. 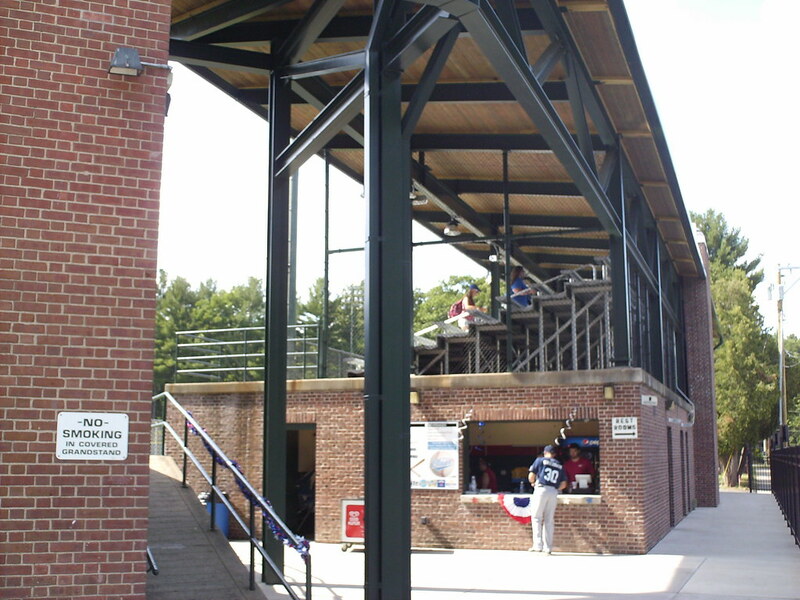 The roof of the first base grandstand extends out past the stands to cover part of the concourse. 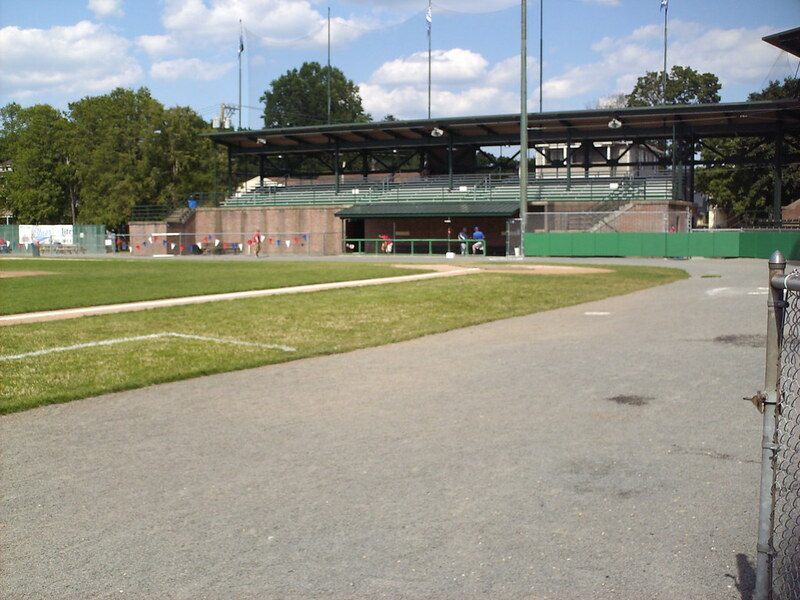 A large aluminum bleacher section runs down the third base foul line into the outfield, providing football seating as well as overflow baseball stands. 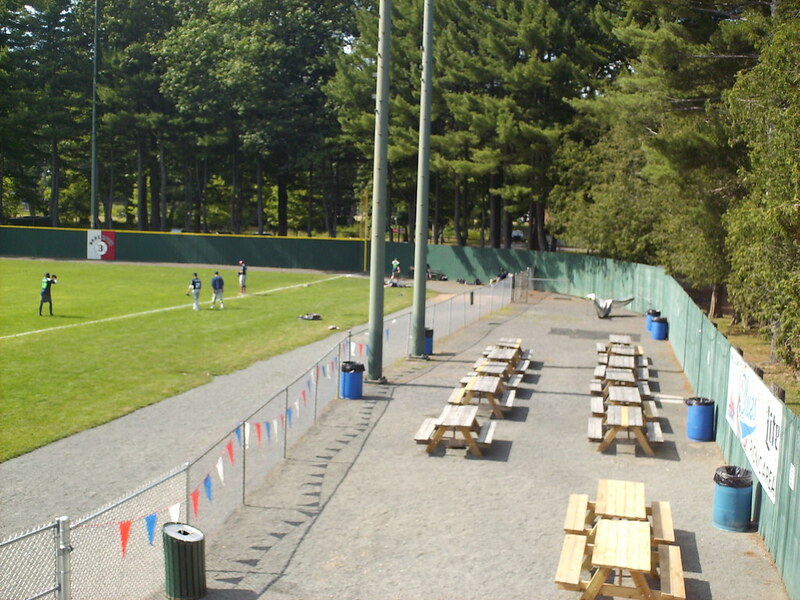 Picnic table seating runs down the first base line. 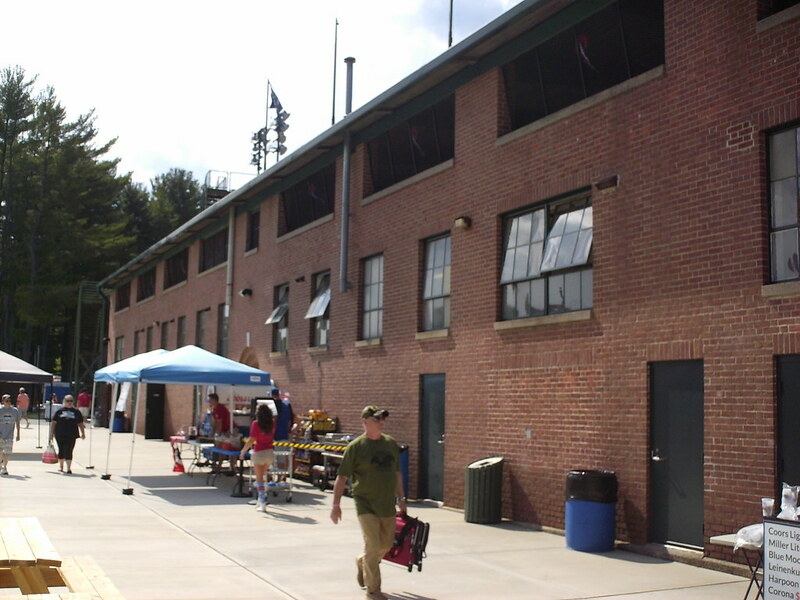 The outer concourse and exterior brickwork at Muzzy Field. 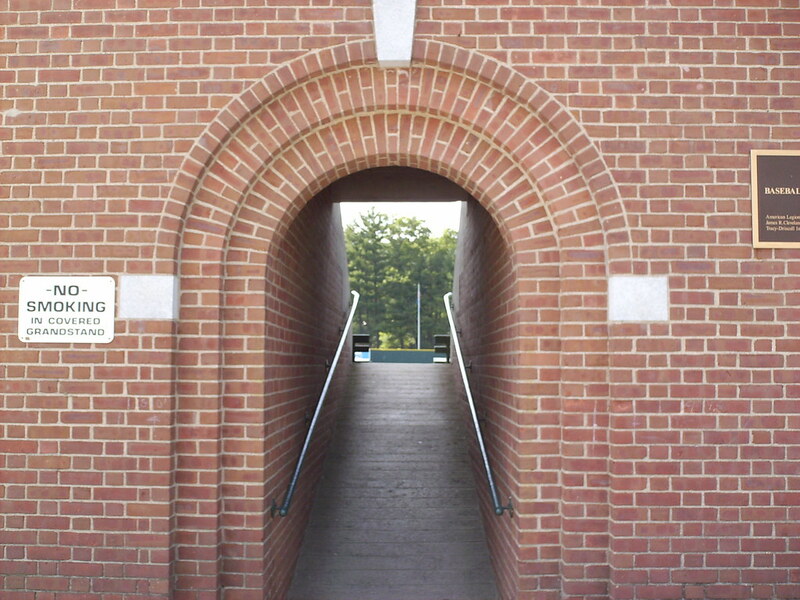 Arched entryways to the third base grandstand run along the outer concourse. 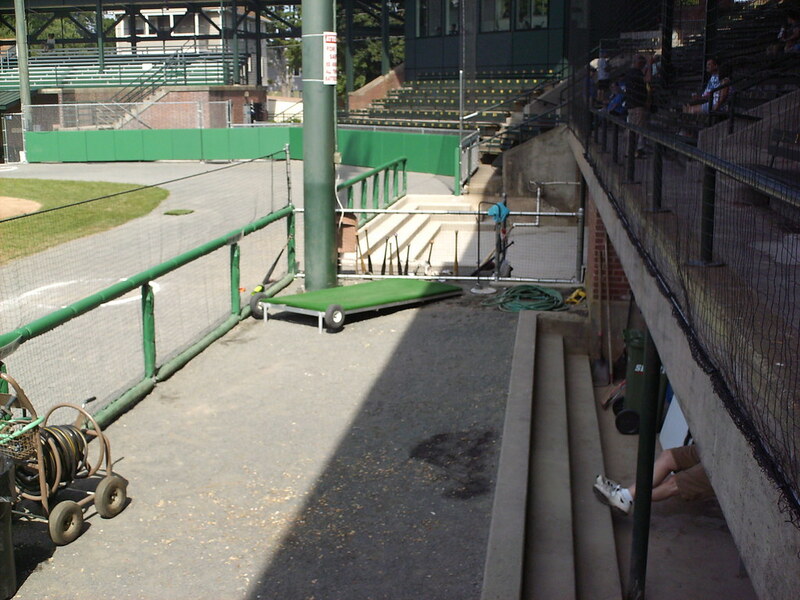 The backstop and wide open third base home dugout. 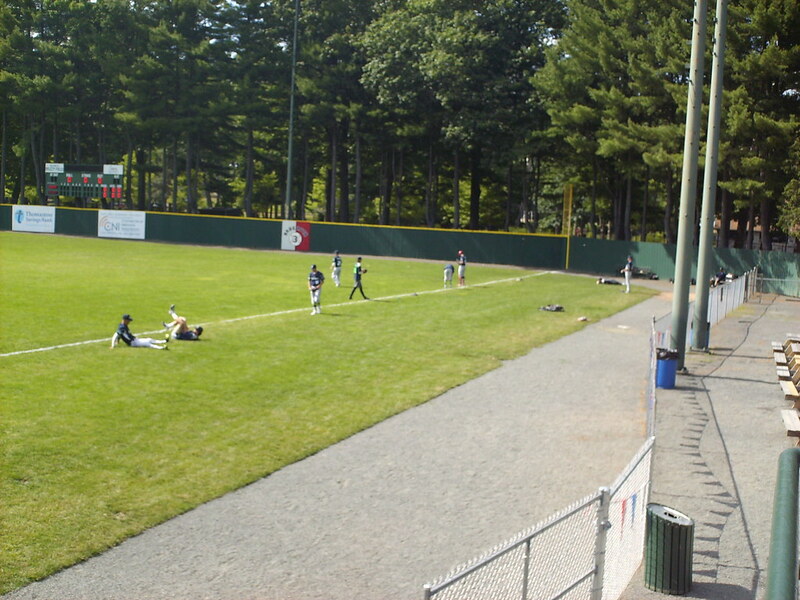 The park features wide swaths of foul territory all the way down the lines, which include the bullpens and a gray gravel warning track. 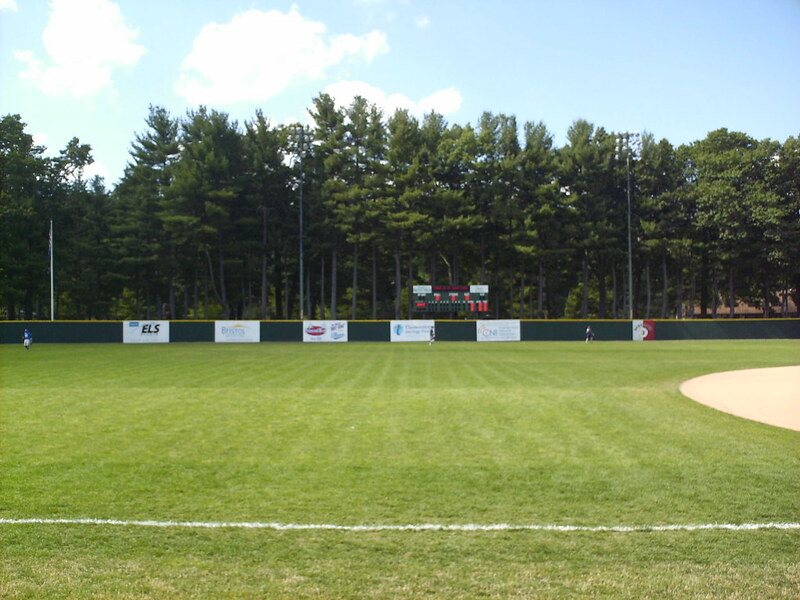 The scoreboard and wooden outfield fence in right field. 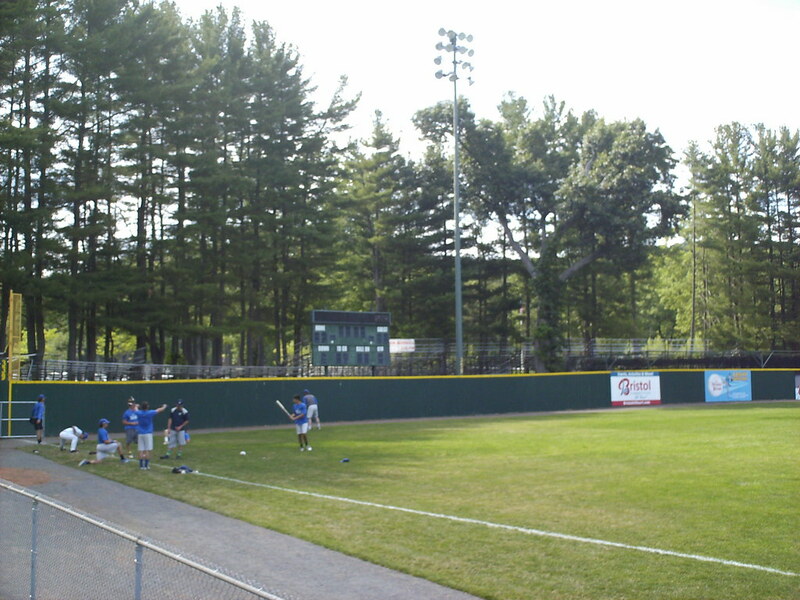 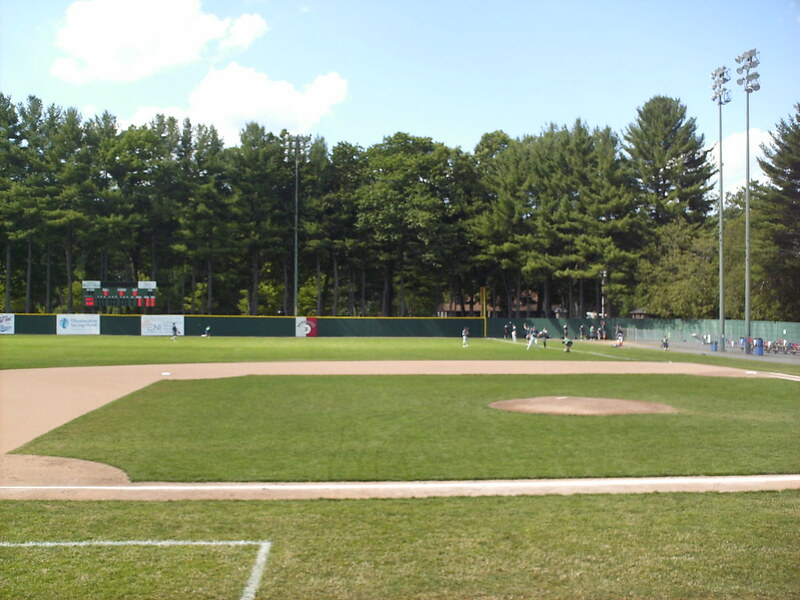 A football scoreboard sits behind the left field wall, and trees run behind the entire outfield fence. 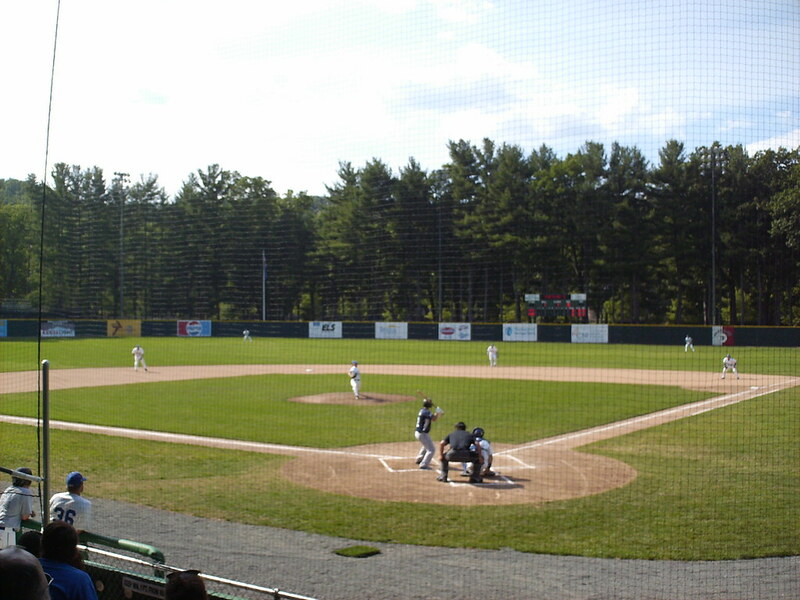 The Bristol Blues on the field during a game at Muzzy Field.